Laser resurfacing is a safe, effective, and convenient treatment for diminishing various cosmetic flaws. The treatment uses a gentle, handheld wand to treat wrinkles, acne scars, sun damaged skin, and other symptoms of aging. It’s one of the most effective ways to experience healthy, younger-looking skin. There’s nothing better than feeling confident in your own skin. Our laser resurfacing treatment offered at Arizona Dermatology can help you accomplish this feeling and so much more. Follow along as we review the many benefits of laser resurfacing. The primary benefit of laser resurfacing is the fact that it can correct various cosmetic flaws. When we refer to cosmetic flaws, we’re referring to a handful of items, ranging anywhere from crow’s feet and broken blood vessels to brown spots and sagging skin. With time, you may find yourself experiencing loose skin. This is completely normal and to be expected. The most common areas patients experience loose skin is under the neck and surrounding the eyes. However, although these are the most common areas, loose skin can occur anywhere on your body. Just because loose skin is a common and natural symptom of aging, doesn’t mean you must live with it. If you find yourself feeling self-conscious about loose skin on your body, know that there are treatments that help eliminate these problem areas. Laser resurfacing, for example, can tighten loose skin by gently applying the handheld wand to your problem areas. The application of this laser significantly improves and tightens the appearance of loose skin. In addition to loose skin, you may experience wrinkles as you age. With time, skin has the tendency to grow thinner, drier, and less elastic. These symptoms result in weakened skin that’s less able to protect itself from damage. As your skin becomes less capable of withstanding damage, you may experience wrinkles, lines, and creases. There are multiple ways to counteract noticeable wrinkles, lines, and creases you see on your skin. 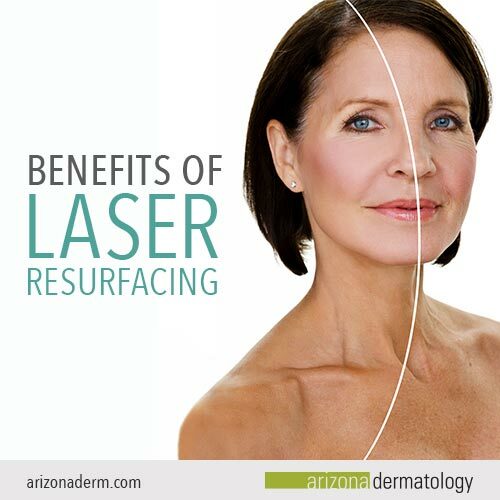 One of the most effective ways to do so is through laser resurfacing. By using a small handheld wand, the laser treatment is gentle and precise. This makes laser resurfacing the perfect treatment for fighting against wrinkles and folds because it’s able to gently and effectively treat softer and more delicate areas of the skin. This is important for treating—without damaging—the sensitive skin around your eyes and mouth. Acne scars are caused by inflamed blemishes that damage the skin. When your skin’s pores clog with excess oil, bacteria, and dead skin they tend to swell, becoming red and sore. Blemishes that are towards the surface of the skin cause shallow lesions. These lesions heal quickly and are less likely to scar. However, clogged blemishes that are deep within the skin can cause severe lesions. These severe lesions commonly result in acne scaring. Laser resurfacing can help improve the color and smoothness of acne scars. The treatment gently burns the skin affected by acne scarring to promote new, healthier-looking skin. After treatment, you may experience redness and dryness surrounding your acne scars, which is completely normal. The redness and dryness is your skin’s process of replacing your acne lesions with new, smooth skin. Another large benefit of laser resurfacing is its ability to treat age spots and other symptoms of sun damaged skin. Age spots commonly appear as brown, splotchy, uneven spots on your skin. They’re caused by excess production of melanin, or skin pigment. In most cases, age spots are caused by overexposure to UV, or ultra-violet, rays. This includes sun exposure, tanning beds, and more. However, in some cases, the cause of age spots is unknown. If you’re experiencing age spots on your skin, laser resurfacing may be the best treatment for you. Laser resurfacing works to remove the damaged skin cells in each age spot. This application of the laser causes the spots to disappear, like they were never there in the first place. After treatment, in place of your age spots, you’ll find fresh, new skin cells, giving your skin a more youthful appearance. In addition to treating various cosmetic flaws, one of the laser’s most significant advantages over traditional techniques for skin resurfacing is that this treatment is non-invasive. This means that laser resurfacing is a painless procedure that won’t damage your skin. Laser resurfacing is also considered to be a very short process. At Arizona Dermatology, we understand that you have a busy schedule and are oftentimes pressed for time. With our laser resurfacing treatment, we do our best to get you in and out of our office in as little as one hour. A laser resurfacing treatment also equates to minimal downtime. Our patients experience little to no discomfort and can typically return to their usual routine in no time. You may experience redness, swelling, and some discomfort. 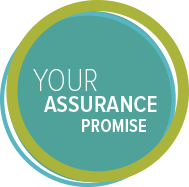 However, these symptoms can be resolved quickly with proper wound care, which we’re very vigilant about providing to our patients. The recovery time can vary from three to 10 days, depending on how aggressive you are with your treatment. You can be very light, or you can be very aggressive. The lasers we use at Arizona Dermatology are very effective in dialing in the exact degree of aggressiveness the patient is looking for. Laser resurfacing is a treatment that’s effective in correcting various cosmetic flaws. It’s also considered to be a non-invasive treatment that’s a quick process with minimal downtime. With benefits like these, laser resurfacing may be the right treatment for you. To get started, contact our cosmetic professionals directly at (480) 818-3314. Or, simply schedule a consultation appointment. We can’t wait to begin working with you so you can experience the joy of healthy, youthful skin.